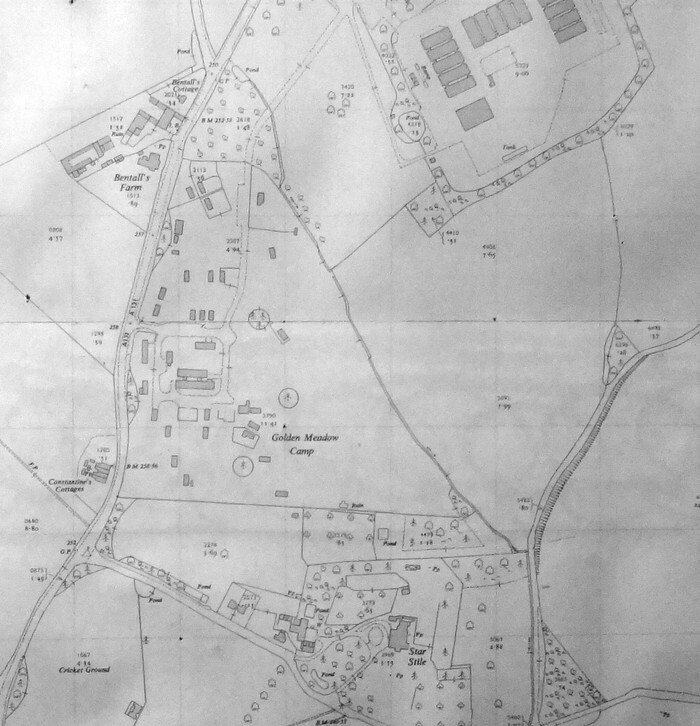 Did you know that during WWII there was a prisoner of war camp located between Star Stile and Ashford Lodge on the main road between Halstead and Sudbury? The following account of the camp can be found in "Halstead and Colne Valley At War" by the late Dave Osborne, published in 1983 by The Halstead & District Local History Society. 'Halstead even had its own Prisoner of War camp. It was in Sudbury Road and was part of Ashford Lodge, being situated in the field opposite Constantine Cottages, at the junction of the road to Colne Engaine and Star Stile cricket ground. The original bell mouth kerbed entrance can still be seen. 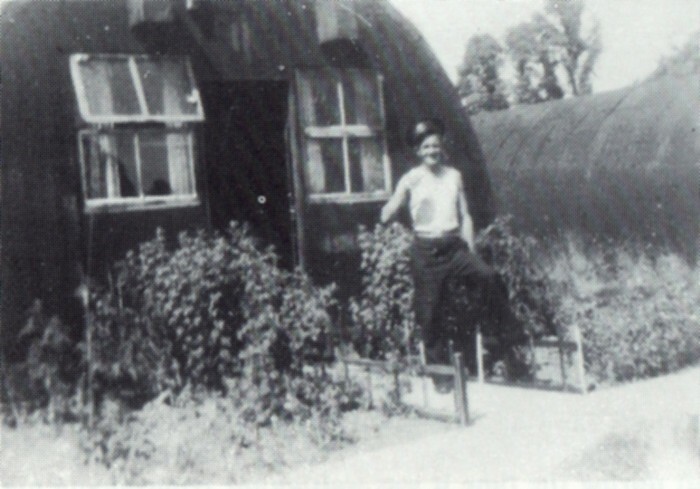 It opened during the summer of 1944 and a former accounts captain, Maurice Wickens, now living in Churchill Avenue recalls that it was originally built for the US Army and had about 50 huts. It was officially designated as HQ 129 Italian Labour Battalion, Ashford Lodge, Halstead. Known locally as Golden Meadow Camp, it housed about 500 Italians, later some Germans, and was the HQ of several other POW camps in the vicinity. There were about 100 POWs at a camp at The Auberies, Bulmer, and a similar one in the village near the church housing about the same; Borley Green 100; Liston Hall 100; Boxford 100 and Stoke by Nayland 200. Prisoners were paid 5/- (25p) per week to be spent in the camp shop and 4/- (20p) which could be spent at local shops or picture houses. In late 1944 Italy had already surrendered and the POWs in the main were a very peaceful bunch. They were employed on agricultural work on local farms, and were a common sight in their green battledress of the co-operative personnel, whilst those non-co-operatives (those who hated the British or later on, the Germans) had a chocolate coloured uniform with yellow diamonds sewn on. Maurice Wickens recalls it was a Mr Russell who was the camp labour officer and responsible for allocating the required number of workers to each farm; also the camp commandant a Lt Col W.G. Petherick, who is still alive in Cornwall, close to 80 years old. He also remembers the three ton truck which used to collect the beer from Fremlins Brewery in Trinity Street (now private housing) where Percy Brown was foreman, and also had to travel to Bury St Edmunds for razor blades and cake from the NAAFI depot. He never did know why these items could not be delivered with the normal rations! There was a Roman Catholic Church in one hut as well as the usual messes and a hospital of sorts, even a Papal Nuncio attended the camp on one occasion to give spiritual comfort to his countryman. Maurice became friendly with several POWs and until recently received Christmas cards from them. When he left in September 1945 there were mostly Germans in the camp for nearly all the Italians had been repatriated. However when the dust finally settled in Europe not all the German POWs went home. For some there was nothing to go home to. Many had lost contact with their families and became integrated with local society. One, Kurt Gottschalk, even came back after going home. He liked the Colne Valley and its people so much while he was here, he vowed to return and settled in Great Yeldham. He recalls that he was often on farm work and that he took the opportunity to snare rabbits which he used to sell to the British Restaurant for 2/6d (12 ½p). There was little money for the POWs so they used to dig a local garden for a packet of cigarettes or a bottle of beer. During a walk one day he came across a consignment of broken chocolate bars in a barn which were destined for pig food. But he smelled business and it was not long before the chocolate was being melted down in the huts and poured into homemade moulds and wrapped in silver paper which was "acquired", to sell to local children who very seldom saw chocolate, let alone eat it. The manufacture of slippers also became a highly successful venture, these being made cardboard and rope made from re-cycled sacks, and sales of these at the British Restaurant saw a very remunerative operation under way. However, a nationally known shoe manufacturer got wind of the scheme and waved the "big stick" and that was the end of that! Like men of all races the Germans liked a drink and as they could not buy any, and being forbidden to enter pubs, they decided to make their own. The still was made from a variety of pipes and other materials they could scrounge, and there were plenty of vegetables and fruit as ingredients. When all the POWs had left the camp, the local authority attempted to make the huts uninhabitable to prevent squatters, but the Englishman, being what he was, failed to be deterred, and many who returned from the wars to set up home with a new wife, soon brought back the huts into use as a home. Often a midnight stroll would produce a door or a window from somewhere and it was not long before the camp came back to life again. The societies membership secretary, Linda Kemp, spent some of her early days living in one of the nissen huts while her family awaited the completion of a new home. 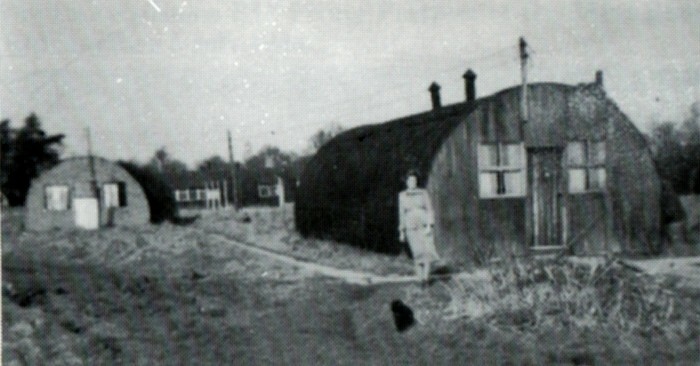 Linda appears as a very small girl in a picture of one of the huts on page 80 of Doreen Potts book, "Halstead's Heritage". The current farmer at Bentall's Farm, Richard Warren, recalls his father dismantling the camp huts one by one as each family left to move into their new homes. He also recalls that he accidentally ploughed up the water main that fed the camp! This is the website of The Halstead & District Local History Society, Essex. England.